I love New York and sometimes just take a few days to go and explore it, sample food and find myself again among the live city. This city is always hassling and is so dirty … yet so charming and unexpected. So, here we are in NY for the weekend and it is raining EVERY day. We go to watch a comedy show, even watch the premiere of the Guardians of the Galaxy, eat French food, and donuts from Donut Plant. And finally, I suggest to take a stroll in Barneys, because why not? Beautiful clothes, art and music always fill me up with inspiration and light ...the kind that you only get from everything unique, raw, beautiful. He is flamboyant and outspoken and talks with such familiarity about fashion. It is both endearing and fascinating to listen to him, and to learn that he finds fashion today taking a new turn towards more comfort and practicality, and a new meaning of luxury. For those of you unfamiliar with his work or contributions to fashion, it suffices to say that he has rightfully earned his place in the fashion world with his over 40 years of outstanding work, that he designs because he “has to”, as he put it in his own words, because fashion is what he lives and breathes. He is also the first designer to open a women’s only shop on Madison Avenue in the 70’s and has provided us since then with beautiful work wear attire. And on September 4, 2013, then-Mayor Michael Bloomberg, declared that day the “Elie Tahari Day” in New York City. But what is most important is that he believes that fashion should inspire yet stay practical, attainable and affordable and he practices that. 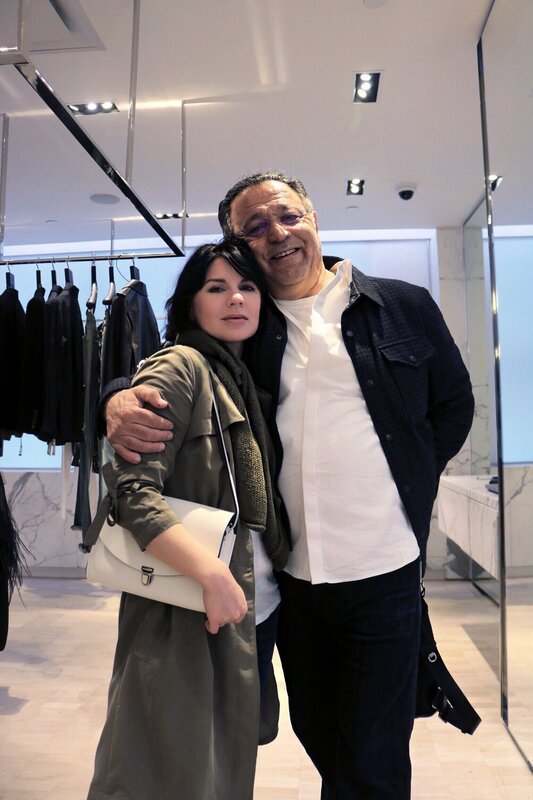 We end up in Bergdorf Goodman at his store on the 5th floor where later on I style some of his elegant pieces, showcased in this post, while he's pulling and tugging at my clothes. 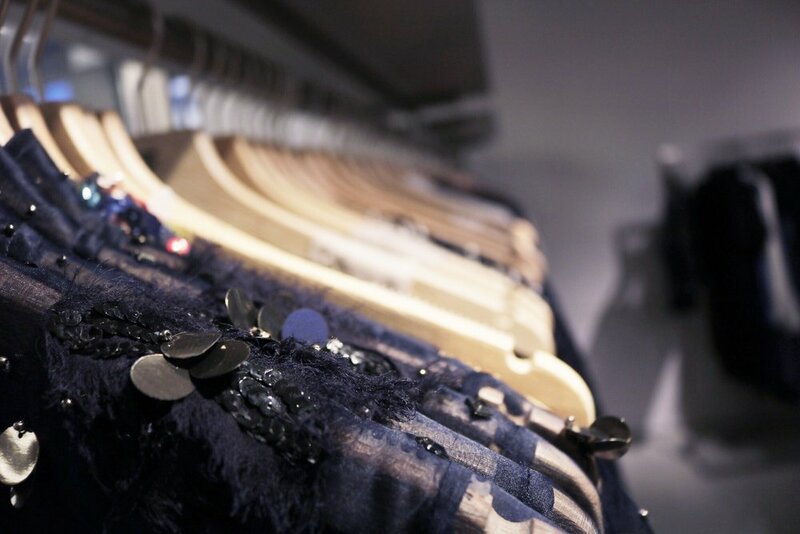 On the racks you can see beautiful clothes with intricate details but also chic essentials that you can mix and match for work or play, … and even pink leather jackets with flower appliques. He clearly knows women. So, today, I am not going to give you any style tips. But I will share with you what Elie Tahari generously shared with me: stay humble, get rid of personal arrogance and work because you can’t help working on what you were meant to do. He muses that today’s social media has infected us with “identitis” (a well-deserved name since we are all sick with our “I” and “identity”!) which stands in our way to find meaning and content in our lives. I chuckle and decide that for a day I have been Alice in Wonderland and I met my very own Hatter. Thank you so much for stopping by. I hope you enjoyed this post just as much as I enjoyed knnowing a little bit of Elie Tahari. ** This post is not sponsored and represents my own opinions.